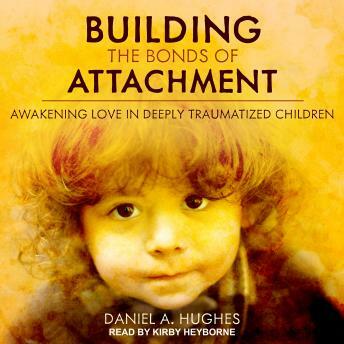 Building the Bonds of Attachment is the third edition of a critically acclaimed book for social workers, therapists, and parents who strive to assist children with reactive attachment disorder. This work is a composite case study of the developmental course of one child following years of abuse and neglect. Building the Bonds of Attachment focuses on both the specialized psychotherapy and parenting that is often necessary in facilitating a child's psychological development and attachment security. It develops a model for intervention by blending attachment theory and research, trauma theory, and the general principles of parenting, together with child and family therapy. This book is a practical guide for the adult-whether professional or parent-who endeavors to help such children. The third edition of this widely popular book will present the many recent changes in the intervention model. These include changes in both the psychotherapist's and parent's interventions. The attachment history of the adults is made more relevant. There is greater congruence between attachment theory and research and the interventions being demonstrated as well as greater reference to this theory and research.